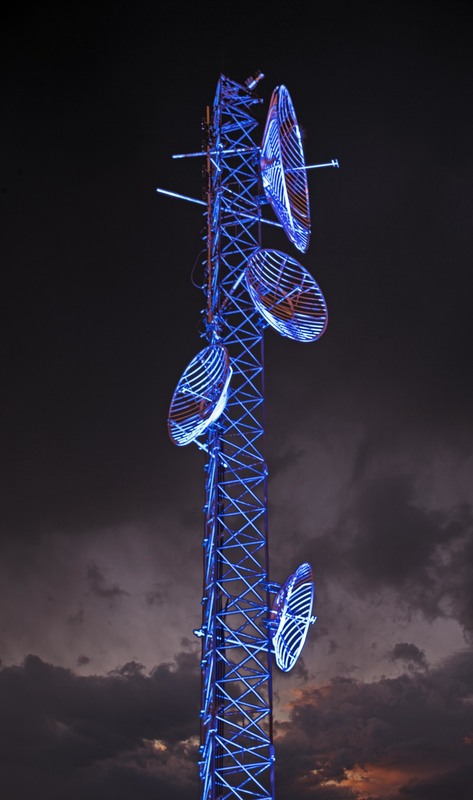 If you haven't seen the Duke Substation & Beacon Tower Illumination yet - you're missing out! Our generous corporate sponsors -Duke Energy and Beacon Partners - caught the vision for the Rail Trail and turned a dark, mundane substation and radio tower into an illuminating piece of public art with 12 LED floodlights, 16,000 color possibilities and infinite value for the Rail Trail project. This lighting is an amazing feat in and of itself (seriously, the team that worked on this is also responsible for lighting the Bay Bridge and the Empire State Building), but it's more than that. Duke Energy's contribution is helping us prove the concept and show what is possible on the Rail Trail through public-private collaboration. We have lots of projects in the works for 2016 and are excited to see what opportunities arise as a result of this one.